Volunteers at the 2017 Water Environment Federation (WEF; Alexandria, Va.) Service Project helped construct a bioswale and native garden. Photo courtesy of Oscar & Associates. Since 2008, the Water Environment Federation (WEF; Alexandria, Va.) Community Service Project has made a significant imprint on several WEFTEC-host cities, creating five rain gardens, six bioswales, and an outdoor classroom. The 11th annual WEF Community Service Project, organized by the WEF Students and Young Professionals Committee (SYPC), offers WEFTEC 2018 attendees the opportunity to give back to New Orleans. This year, a bioswale will be constructed and an educational green-infrastructure graphic will be created at the Treme Recreation Community Center on Sept. 29. Natalie Cook, the 2018 Service Project vice chair, encourages members to get involved, especially since they will have an opportunity to see the creation of educational artwork. “We’re going to have an educational mural that describes water technologies,” she said. 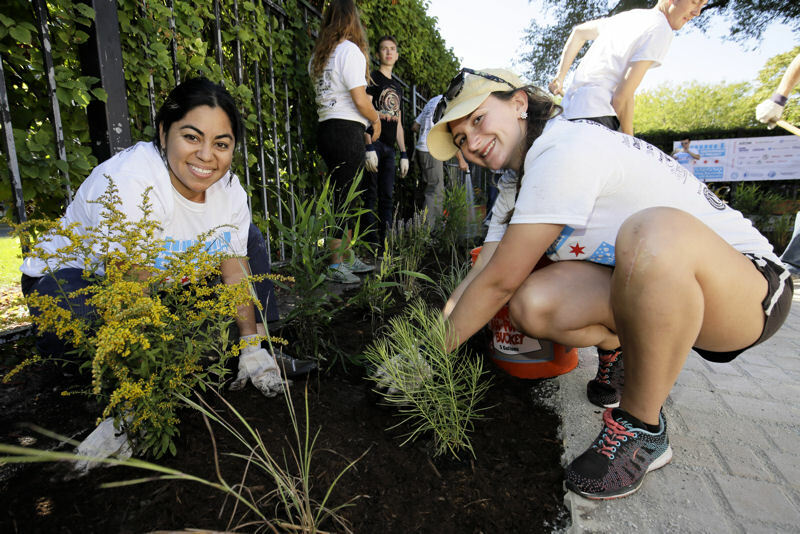 The service project not only positively affects the environment, but also educates the community on water, the environment, and green infrastructure. Anyone interested in volunteering can add the “WEF Community Service Project” to their WEFTEC registration. Those who would like to make a financial donation should contact Megan Livak at mlivak@wef.org.